Now a day, Shopping malls are not only a place for shopping. Malls are the one stop destination having all the facilities you need for recreation. Malls are the upgraded version of recreation facilities like park, we had in earlier days. 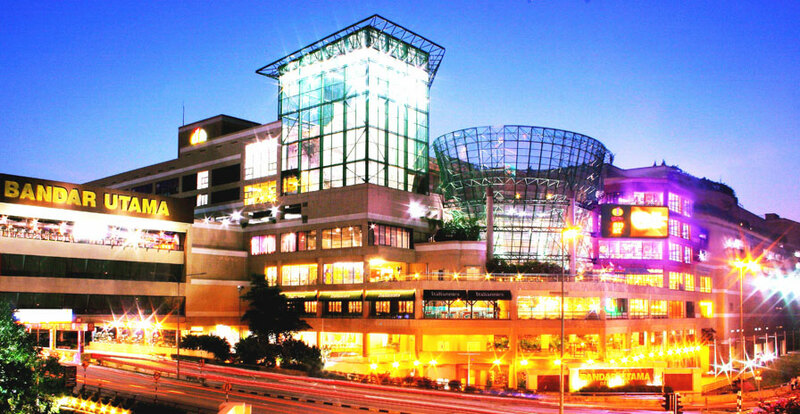 Malls are shopping venues along with spectacular dining and amusements activities. Zoos, parks, ski trails, science centre, skating rinks, pools and theme parks, you name it and these malls have all the facilities available for you. ListOTop presenting a list of amazingly Largest Shopping Malls in the World in Which 8 out of 10 Largest Shopping Malls in the World belong to Asia only. 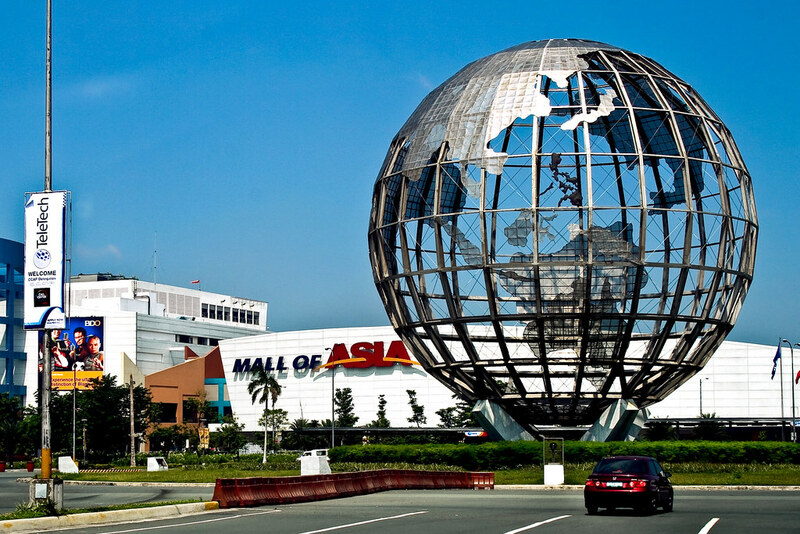 Spread in an area of 4.2 million square feet, SM Mall of Asia was opened in the year 2006. SM Mall of Asia is situated in Bay City, Pasay in Philippines and roughly attracts 200,000 people daily. The mall consists of 4 buildings, the main mall, the entertainment mall, the north car park and the south car park buildings, that are connected via walkways. The SM Mall of Asia has an Olympic size Ice-Skating rink and an IMAX Theater having one of the world’s largest 3D screens. The main mall is for shopping and dining and also has a food court. The Mall also features a Tram that serves people to travel along the mall ground. The entrance of the mall features a huge steel Globe. Another crowd attraction is the open air music hall that faces the sea. The Mall has a 55 meter Ferris wheel known as ‘The Mall of Asia Eye’. Istanbul Cevahir Mall situated in European side of Istanbul, Turkey is the largest shopping mall in Europe which opened its doors in the year 2005. The immense mall boasts of its huge glass roof and the second biggest clock in the world. The mall has 12 cinemas, a bowling hall, a roller coaster ride and various other entertainment options. The Cevahir mall occupies an area of 4.5 million square feet. Situated in the capital of Thailand, Bangkok, Central World was opened in the year 1990. The 8 storey mall features around 500 stores, a five-star hotel, a convention centre, parking structure and an office tower. The mall underwent many renovations during its life and presently occupies an area of 4.6 million square feet. A portion of mall was set on fire by anti government protestors and was reopened only after months of repair and restructuring. Central World also has an ice skating rink, a children’s playground, internet centers and a library. The mall was originally known as World Trade Center which was renamed as Central World Plaza in 2002 and late in 2005 as Central World. Persian Gulf Complex is the largest shopping mall in the world in terms of number of stores. The Mall has in total 2,500 stores, along with a 262 room hotel, an indoor as well an outdoor swimming pool, amusement parks, a helipad, tennis court and a convention centre. Also known as ‘Fars Shopping Complex’ it is located in Shiraz, the cultural capital of Iran, and spread in a total area of 4.8 million square feet. The Mall also has six cinemas, a 3-storey billiard hall and a bowling alley. There is also a Carrefour Hypermarket within the mall spread in 150,000 square feet. The largest shopping mall in Malaysia and sixth largest in the world, 1 Utama is astonishingly spread in an area of 5 million square feet and was opened in the year 1995. 1 Utama is situated in affluent township of Bandar Utama in the Selangor province in capital city of Malaysia, Kuala Lumpur. It is the premier shopping mall in the country having two wings with more than 700 shops. The 1 Utama features a Skybridge, a tropical rainforest within the mall and a secret garden. The mall also boasts of its Koi ponds, an entertainment Zone, a sports zone, a bowling area and Asia’s largest indoor rock climbing wall. Isfahan City Center is one of the largest shopping malls in the world having a museum. Isfahan City Center is located in Isfahan city of Iran and is still under construction. The mall was opened in 2012 and was built in four phases covering 5 million square feet of area. It has around 750 stores, a 5 star hotel, a financial center, 7 cinemas, a world trade center and a self contained township. The mall showcases the rich heritage of its homeland and its people that reflects its journey through the time. A mall with a motto “Everything’s Here” and so is true. One could find anything and everything you need in the SM City North EDSA. Situated in the Quezon City in Philippines, SM city North EDSA is spread in an area of 5.19 million square feet. The mall opened its gates in the year 1985 and went through various renovations and expansions since 2006 to reach the destination it is today. The mall has more than 1100 shops, a sky garden, a food court, an entertainment center and an IMAX theater. SM city north EDSA is also the largest solar powered shopping mall in the Southeast Asia. With an area of 5.5 million square feet, SM Megamall is the largest shopping mall in Philippines and the third largest in the world. The mall is located in Mandaluyong city in Manila, Philippines. 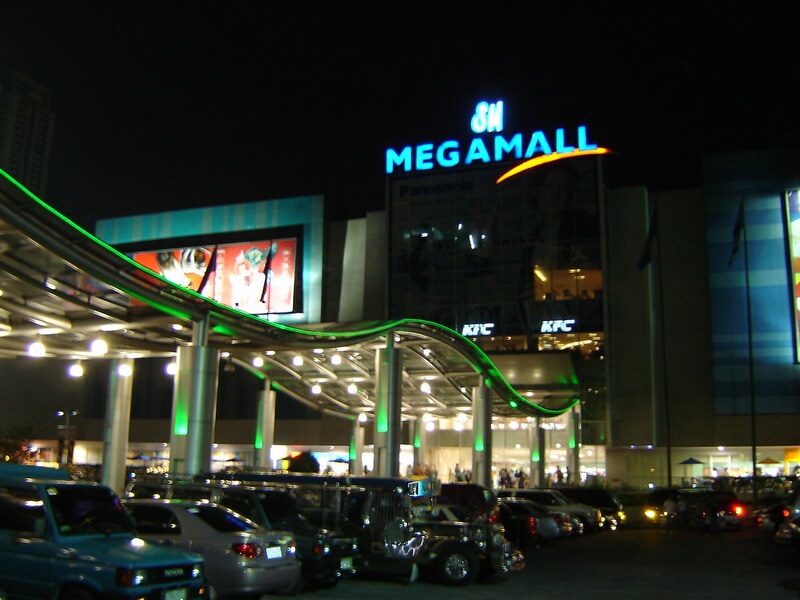 The SM Megamall has a capacity of 400,000 people and has two buildings that are connected with a bridge. The mall has over 1200 shops and around 270 dining options. It also has a skating rink, an IMAX theater, a Roman Catholic Chapel. A bowling alley and at the top of all a 56 seated director’s club cinema having a butler service. 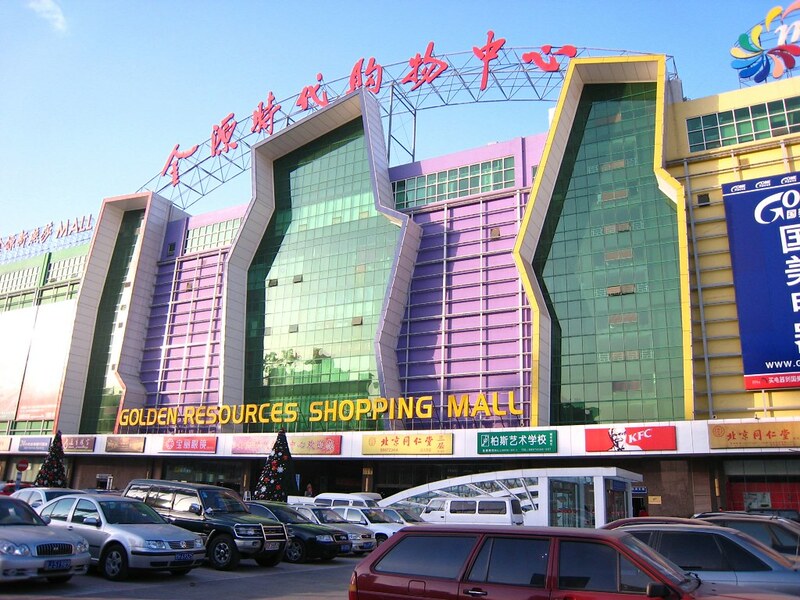 Nicknamed as ‘The Great Mall of China’, Golden Resources Mall is built in staggering 6 million square feet of area. The mall has 6 floors having around 1,000 stores, restaurant space and a skating rink. The mall also has 230 escalators and was the largest shopping mall in the world when it was opened in the year 2004. It was initially expected to have an average of 50,000 foot falls per day, but the foot falls were as less as 20 people per hour. The basic problem was that the prices of the products were too high for common public and the location was also inconvenient. However, it is expected that the number of shoppers would increase as a new train station is opened nearby. New South China Mall might be the largest shopping mall in the world with total area of 7.1 million square feet, but unfortunately it has remained largely vacant since its opening in 2005. Modeled on international cities and countries the New South China Mall is divided in seven regions: Paris, Rome, Amsterdam, Venice, The Caribbean, California and Egypt. The mall has various replicas of international landmarks such as Replica of Arc de Triomphe, a replica of St Mark’s Bell Tower of Venice and 1.3 miles canal with Gondolas. The mall also has an indoor as well as outdoor Roller Coaster ride.